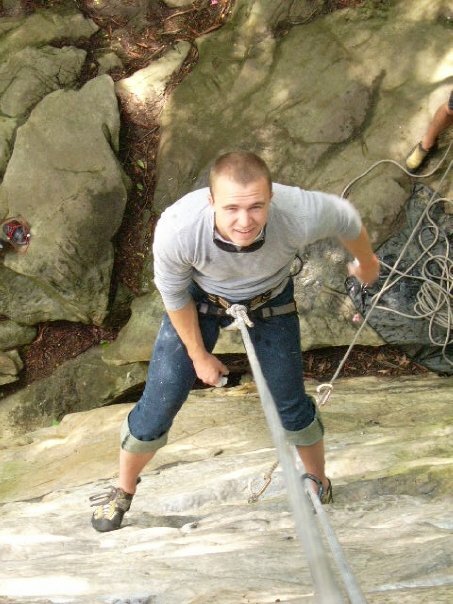 Profile: Chris learned everything he knows about rock climbing from Alex and he wouldn’t be where he is today if it were not for him… and Benny Benassi raves. Aside from all that, he is the organizer of the Homoclimbtastic Convention, and he’s your primary contact person at HC. Back in Atlanta, Chris is a small business marketing consultant, wedding planner, menswear stylist and fashion show producer with a collection of a few small businesses including designing bow ties and men’s fashion accessories (if you like bow ties, check out Atlanta Beaus!). He also kayaks, and teaches yoga and aerobics. 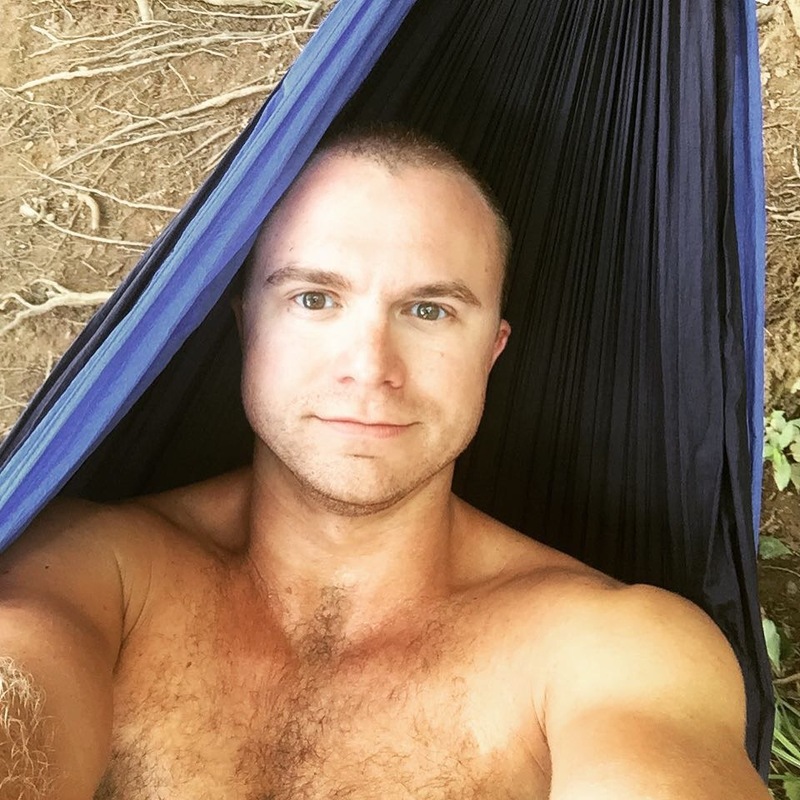 Chris likes his hammock time at HC.